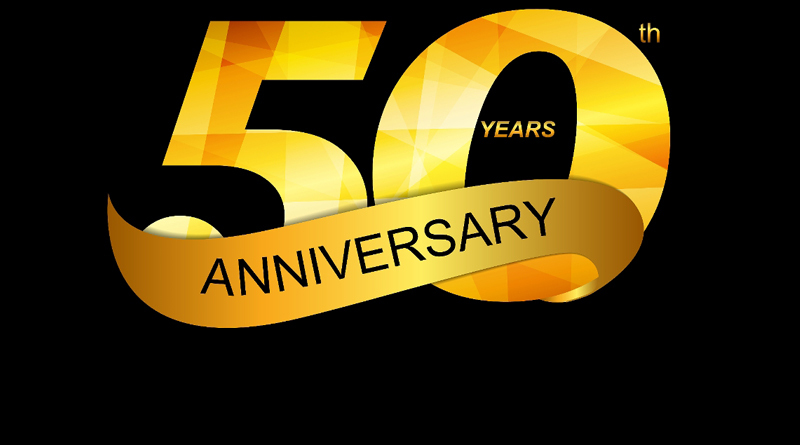 BFC Financial Corporation (“BFC” or the “Company”) and Bluegreen Corporation (“Bluegreen Vacations” or “Bluegreen”) has announced that Bluegreen is celebrating its 50th Golden Anniversary. Bluegreen Vacations traces its lineage to a small community development company founded in the Berkshires of Massachusetts in 1966. It later relocated its headquarters to Stamford, Vermont, and in 1991 moved its headquarters to Boca Raton, Florida. Bluegreen developed its first vacation ownership resort in the Smoky Mountains in 1994. Other resorts soon followed. In 1997, Bluegreen acquired RDI Group, a privately held vacation ownership developer and operator of a points-based vacation club with resorts in Florida and Wisconsin, plus management contracts with resorts across the Southeast. The RDI Group acquisition positioned Bluegreen as one of the largest property managers of vacation ownership resorts in the United States, and the Bluegreen Vacation Club® was born! In 2000, Bluegreen established one of the vacation ownership industry’s first national retail alliances by entering an exclusive marketing agreement with Bass Pro Shops® Inc. This agreement allows Bluegreen Vacations to market vacation opportunities at Bass Pro national retail locations, in Bass Pro catalogs and on the Bass Pro Shops® website. Bluegreen also entered into a joint venture agreement with Big Cedar, LLC, an affiliate of Bass Pro Shops®, to develop, market and sell the Bluegreen Wilderness Club™ at Big Cedar®, which became a trio of Bluegreen Vacation Club resorts located near the majestic Table Rock Lake in Missouri. In 2006, Bluegreen announced the development of a resort in one of the world’s premier vacation destinations, Las Vegas. In 2008, the first Presidential Suite was built at Daytona SeaBreeze, signaling a new wave of diverse accommodation options. In 2009, Bluegreen launched its Fee-Based Service business, establishing a platform to provide services such as sales and marketing, resort management and loan servicing, amongst others, to third party developers. Bluegreen continues to use this business model as a “capital-light” means of adding exciting new destinations to the Bluegreen Vacation Club such as New York (NY), Big Bear Lake (CA) and St. Pete Beach (FL). And, in 2013, Bluegreen Vacations was named the Official Vacation Ownership provider of Choice Hotels®, one of the largest and most successful lodging companies in the world. “Bluegreen’s pursuit of its capital-light business strategy has resulted in significant growth and has made Bluegreen one of the leading leisure, hospitality, and vacation ownership companies in the market sector. Its platform supports a portfolio of revenues associated with: the traditional vacation ownership business, a growing fee-based services business, resort management and the finance business. For the year ended December 31, 2015, Bluegreen reported system-wide sales of Vacation Ownership Interests of $552.7 million, other fee-based services revenue of $97.5 million, and net income of $82.0 million,” commented Tony Puleo, Chief Financial Officer and Treasurer of Bluegreen Vacations. “July is the start of the height of vacation season and we think an ideal time for families to ‘share happiness,’ creating smiles, memories and time together, and celebrating Bluegreen’s 50th anniversary. Happy 50thBluegreen!” added Levan. Founded in 1966 and headquartered in Boca Raton, FL, Bluegreen is a sales, marketing and resort management company, focused on the vacation ownership industry and pursuing a capital-light business strategy. Bluegreen manages, markets and sells the Bluegreen Vacation Club, a flexible, points-based, deeded vacation ownership plan with more than 199,000 owners, 66 owned or managed resorts, and access to more than 4,500 resorts worldwide. Bluegreen also offers a portfolio of comprehensive, turnkey, fee-based services, including resort management services, financial services, and sales and marketing services, to or on behalf of third parties. BFC (OTCQB: BFCF)(OTCQB: BFCFB) is a holding company whose principal holdings include an 81% ownership interest in BBX Capital Corporation (NYSE: BBX) and its indirect ownership interest in Bluegreen Corporation. BFC owns a 54% equity interest in Woodbridge, the parent company of Bluegreen. BBX Capital owns the remaining 46% equity interest in Woodbridge. As a result of their ownership interests, BFC and BBX own 100% of Bluegreen. As of March 31, 2016, BFC had total consolidated assets of $1.4 billion, shareholders’ equity attributable to BFC of $385.2 million, and total consolidated equity of $493.4 million. BFC’s book value per share at March 31, 2016 was $4.56. Certain matters within this press release include “forward-looking statements” within the meaning of Section 27A of the Securities Act of 1933, as amended, and Section 21E of the Securities Exchange Act of 1934, as amended. Forward-looking statements may involve known and unknown risks, uncertainties and other factors that may cause the actual results or performance to differ from those projected in the forward-looking statements. For a description of these factors, please review the “Risk Factors” section or other sections in BFC Financial Corporation’s Annual Report on Form 10-K and quarterly reports on Form 10-Q, filed with the Securities and Exchange Commission. All forward-looking statements are expressly qualified in their entirety by such risk factors. Further, past performance is not a guarantee or indicator of future performance and actual results, performance, or achievements may differ materially from those contemplated, expressed or implied.